Which learning opportunities does challenged-based learning offer? 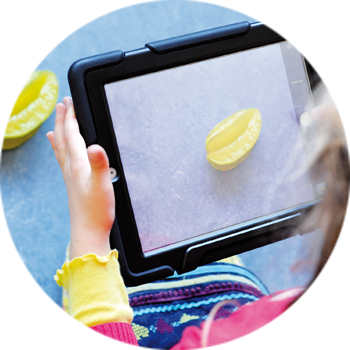 How can digital media support educational processes of children? Why should digital media education be part of the vocational training of pedagogues? Join us when we answer these questions together with experts from science and practice on May 18th, 2019! In inspiring pitches you will gain insights into the topic and will then be able to deal with these and other key questions in the workshops. In addition to stimulating input, the conference programme offers plenty of opportunities for you to tinker, network and to exchange ideas. 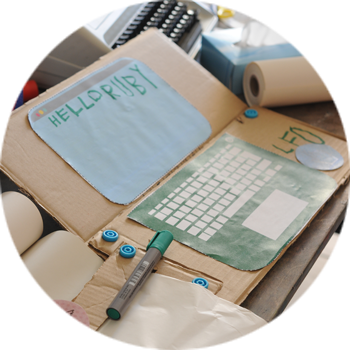 The Mini-Maker Day 2019 addresses pedagogues from kindergartens and schools. This year, a special focus is on teachers and students from vocational schools and technical colleges. All participants receive a voucher for free admission at the Maker Faire Berlin on May 19th, 2019. This was the Mini-Maker Day 2018. Lars Geer Hammershøj is PhD and Associate Professor in Educational Philosophy at Department of Education, Aarhus University. His research focus on the question: What is important to learn in the digital age? How is creativity and Bildung to be cultivated in education? Lars has published books and articles on play, creativity and innovation, on the processes of Bildung at the different levels of the educational system, and on Zeitdiagnose as futures studies. Currently, he is research coordinator of PlayArt, a national project on the cultivation of play and Bildung through art and culture in Denmark. What does „Bildung“ mean in the digital age? How is the pedagogical profession changing? Panel discussion with Antje Bostelmann, Grete Helle, Tom Rune Fløgstad, Frank Stoevelbaek, Steen Søndergaard and Klaus Thestrup about „Digital Media in Early Childhood Education“ on basis of prior presented pitches. How do pedagogical innovations change myself and how do I bring this development into my team? How do I make my kindergarten ready for the future? The future market offers many exciting participatory activities and is a place for knowledge exchange and networking. Our exhibitors will present new tools and cool project ideas on the subject of digital media in education. Voucher for free admission at the Maker Faire Berlin on May 19th, 2019. Please choose an additional workshop! The conference fee is 39,- Euro (incl. VAT). Drinks and food are included. Following successful registration, you will receive your invoice in the post. I would like to order free information on the "Mini Maker" further training. I have read and agree to the General Terms and Conditions. Photographs will be taken during the Mini Maker Day. I agree that photographs of myself can be used for documentation purposes (publications, website, etc.). Your e-mail address will be used for informational purposes only and will not be disclosed to third parties. 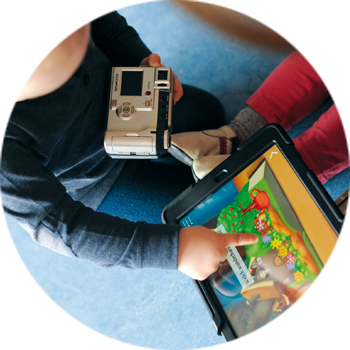 Digital Media Competence for Educational Staff in Early Childhood Education.